Storefront, an AngelPad-backed startup, has raised $1.6 million for its short-term retail space marketplace. The investment comes from Mohr Davidow Ventures, 500 Startups, Great Oaks VC, the Box Group, Sand Hill Angels, and other angel investors. Using its new-found capital, the company says that it will expand its offering to new markets, starting in New York City. It’s believed that in the United States, there is a 10 percent vacancy rate for retail spaces. In an effort to help retail space owners make some money and to help get stores temporarily set up, Storefront decided to play matchmaker. It organizes and lists spaces available for short-term use in a manner akin to Airbnb. For the past six months, Storefront has listed more than 3 million square feet of retail space on its site, helping over 100 businesses open up pop-up shops just in San Francisco. The company tells us that it has been working with major malls and brokers such as Westfield, Simon, GGP, Colliers International, and Cushman & Wakefield. The move to New York City is Storefront’s second market. Erik Eliason, company co-founder and CEO, says that while it’s easy to create an online store, setting up a physical one is quite difficult. And it makes sense — after all, businesses have the option of creating a site using Amazon, eBay, Square, or any other service. But finding a tangible location could be more time consuming and require more resources — plus you’re locked in to a lease. Storefront isn’t the only startup in the pop-up store space. A Springboard accelerator company, We Are Pop-Up, also does the same thing, but specifically in London. As PandoDaily noted during the company’s launch, Storefront isn’t a licensed real estate broker and as such, will not take a real estate commission — instead opting for some form of service fee. 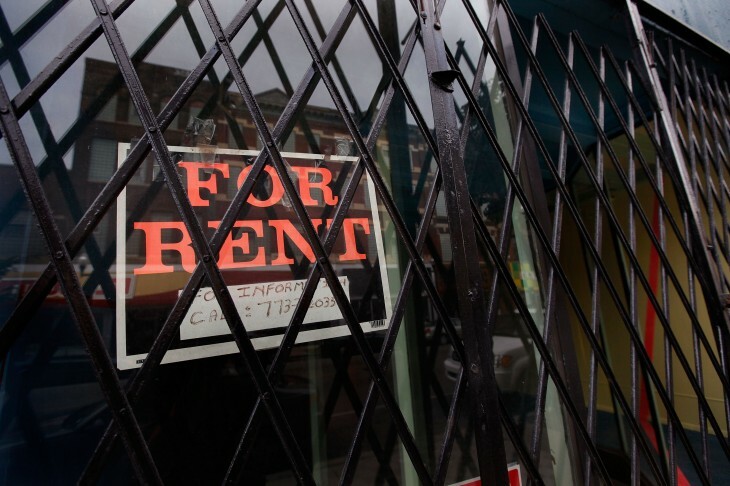 But, with its Airbnb-type style, will Storefront run into similar problems? So far it hasn’t, but as it expands to new markets, who’s to say. The company was founded by Erik Eliason and Tristan Pollock, two entrepreneurs with experience in the retail space — Eliason consulted with Target, Coach, and Chanel, while Pollock worked at BestBuy.com. Both previously started SocialEarth, a web-based community, before selling it to 3BL Media in 2012.